1. Place carrots into food processor and pulse until finely grated. Add all other ingredients and process together until mixture becomes a "dough" you can shape. 2. 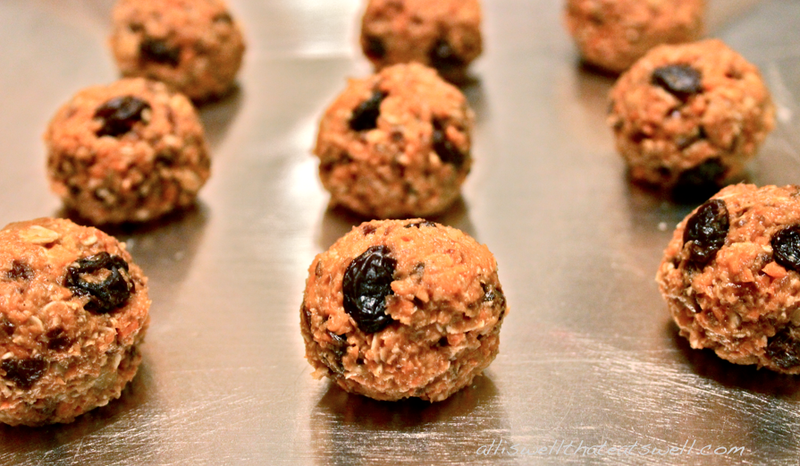 Place "dough" into a bowl, add 2 tablespoons oats and raisins and combine ingredients well. Shape into twelve balls approximately 1 inch in diameter. 3. Enjoy at room temperature, refrigerated or baked at 350 for ~12 minutes.